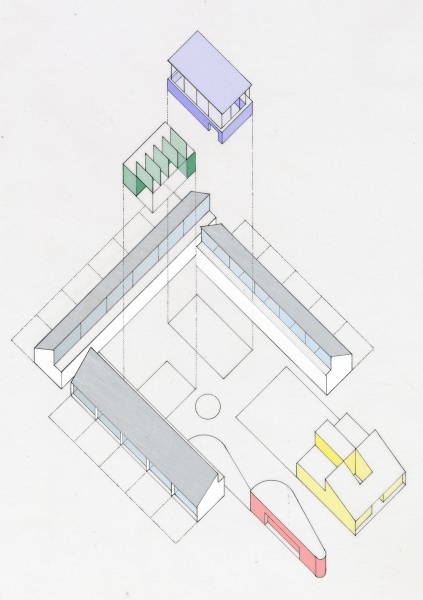 The design of the primary school for 21st century learners should reflect a strong and clear architectural concept that underpins the form and character of the building, and how spaces relate to each other. Classrooms and their ancillary spaces are wrapped around the perimeter, each classroom has its own private garden, that can be an extension of the teaching space or a quiet place for children to play with their own groups. Classrooms are single-storey spaces with pitched roofs and clerestory glazing. 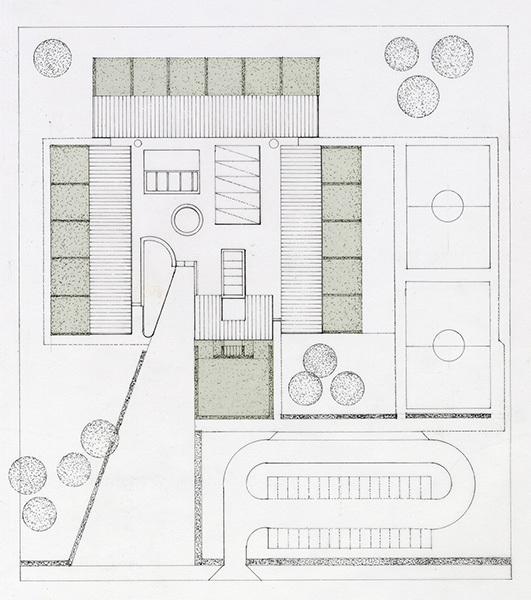 We have retained the classroom cell concept but the connection to a garden and a transitional covered area transforms the classroom into a home base that can be used in many different ways. The classrooms enclose a concourse, an internal landscape in which the assembly spaces, the library and the general-purpose room are placed, like nuclei in a cell. These spaces will be tall and voluminous, extending above the flat roof of the concourse to being light and air deep in to the plan. The library and media room will be enclosed in sliding glazed screens and the 4 multi-purpose rooms are arranged ensuite off the library, facilitating use of these resources. 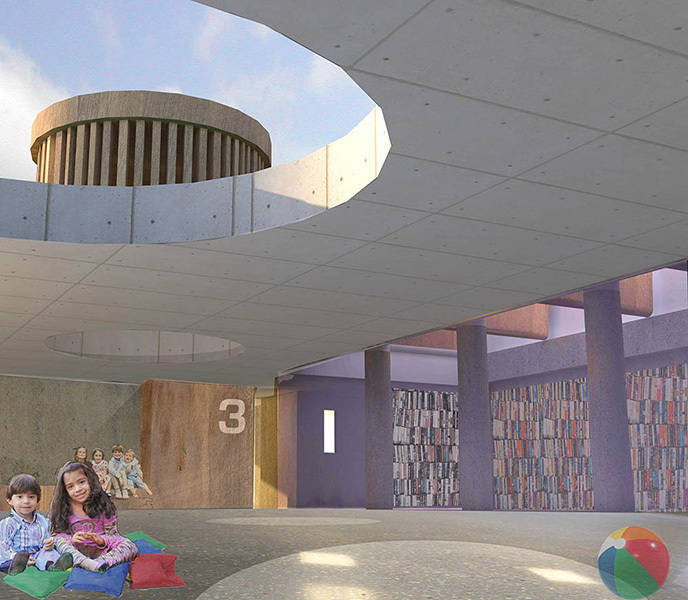 The library will be the focus of the public space of the school, filled with light and active at all times of the school day, and possibly by the local community in the evening. Similarly the general-purpose room or halla, is strategically located, right in the heart of the plan. This too will rise above the roof landscape and clerestory windows will provide light and air to this courtyard like space. The hall will have wide double doors that may be held open allowing fluid movement into the main concourse. The Special Needs Unit is arranged as a self-contained “lodge”, comprising a pair of suites that include the classroom/safe base, small safe space and toilets that are linked by a central activities space and shared garden. 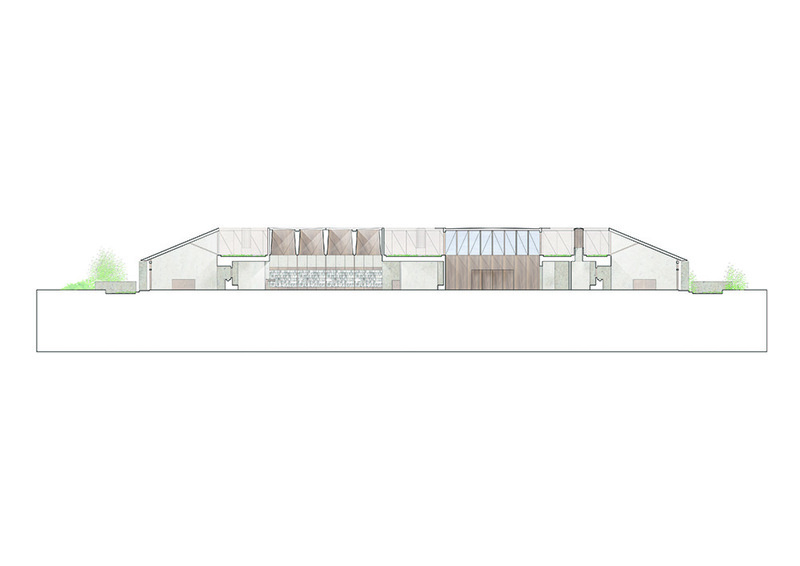 The teacher’s base, including common room, principal’s office and administration/reception are placed in a timber- clad pavilion, an organic form that shapes the entrance to the school.